Google Adsense is the program that can give you advertising revenue from each page on your website—with a minimal investment in time and no additional resources. Adsense delivers relevant text and image ads that are precisely targeted to your site and your site content. And when you add a Google search box to your site, AdSense delivers relevant text ads that are targeted to the Google search results pages generated by your visitors’ search request. You can maximize your revenue potential by displaying Google ads on your website. Google puts relevant CPC (cost-per-click) and CPM (cost per thousand impressions) ads through the same auction, and lets them compete against one another. The auction takes place instantaneously, and, when it’s over, AdSense automatically displays the text or image ad(s) that will generate the maximum revenue for a page — and the maximum revenue for you. 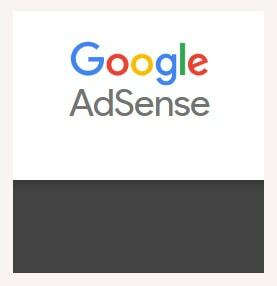 Google AdSense is a fast and easy way for website publishers of all sizes to display relevant Google ads on their website’s content pages and earn money. Because the ads are related to what your visitors are looking for on your site — or matched to the characteristics and interests of the visitors your content attracts — you’ll finally have a way to both monetize and enhance your content pages. Becoming an AdSense publisher is simple. All it takes is a single online application. Once you’re approved, AdSense takes only minutes to set-up. Just copy and paste a block of HTML and targeted ads start showing up on your website. AdSense is also a way for website publishers to provide Google web and site search to their visitors, and to earn money by displaying Google ads on the search results pages.